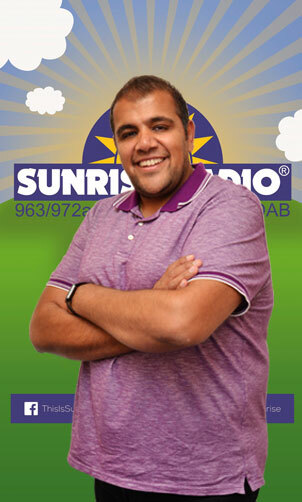 © 2019 Sunrise Radio – Official Site – The Greatest Asian Radio Station in the World. All Rights Reserved. Least Favourite Food: Anything vegetarian!!! Favourite Food: Chinese / Thai / Japanese … Pan-Asian basically! it for the rest of my life. Truly the definition of Nom. No brainer – it has to be Sholay hasn’t it?Everything about that movie is perfection – the acting, the music, the dancing and of course the legend that is Gabbar Singh! Among my other favourites are Don,(both the original and the remake) Disco Dancer (because of its crazy plotline! ),Lagaan and Rang de Basanti. party in the world – I’ll see you there! 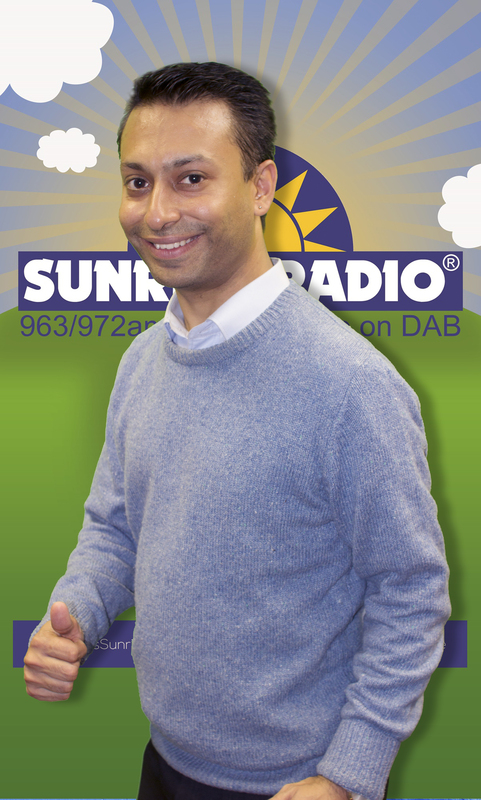 Hear Asif, Sunday to Thursday, 7-10pm Presenter Sunrise Radio Late evening show. 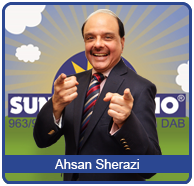 Born in Peshawar, Asif Ghazali childhood ambition was to work in the entertainment business. 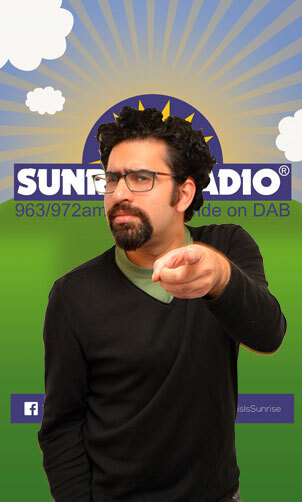 After a variety of jobs, Asif got his big break in the 2008 at the Sunrise Radio London. 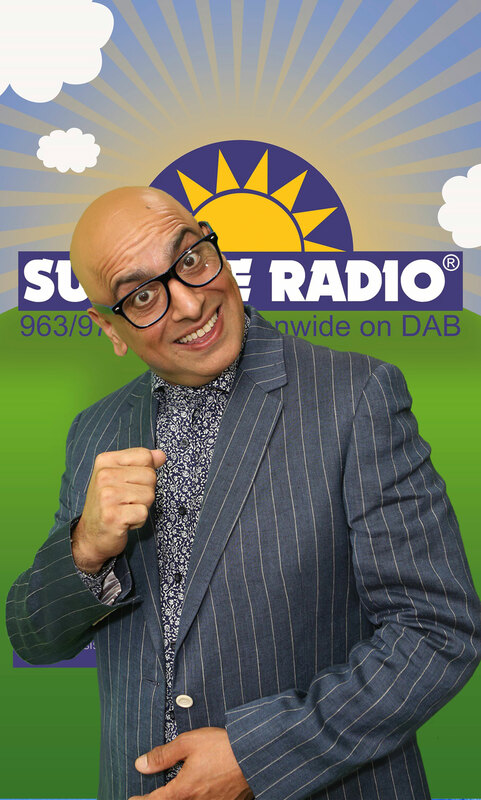 Asif Ghazali Show continues to combine celebrity interviews, Bollywood gossip News Information from Around the word with mixes Bollywood Music. Every weekday Monday to Thursday and Sunday. Favourite All Time Bollywood Film: OK, I’m going to pick one at random from the 50 million on my list…Devdas (2002) For all the reasons it swooped numerous awards and more! Sheer class, epic direction, Beauty at it’s best, a super duper soundtrack, and outstanding performances by each and every actor – in each and every scene. Now that’s a master piece worthy of every penny (paisa) invested in production! 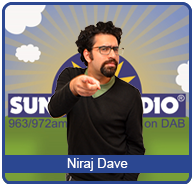 Favourite Bollywood Film Soundtrack What a silly question to ask a radio presenter! Think ,think….Taal 1999! 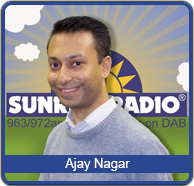 I am a Television & Radio presenter, and an ‘Energy Alignment’ Coach.  It may sound corny but, connecting with a wide range of people from across the globe is one of the reasons I love what I do. I would probably fail miserably to hold down, for more than a few months, a job that lacks this! 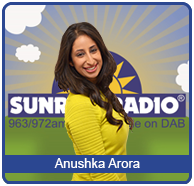 The person you hear on radio or see on the telly is quite possibly not the real me – even I don’t know who that is! (Not sure I should’ve told you this) My family would probably describe me as: Polite, (they have no idea! ), empathetic, caring, charitable and far too busy, a health freak obsessed about organic foods, and a chatterbox who easily loses track of time (30mins later and still explaining why she loves the colour yellow!) I love hanging out with positive peeps who practice empathy and carry with them a natural high for life, constantly motivating others to do well. I will always have time for these champs. Hot and spicy food is my weakness…like, seriously HOT! 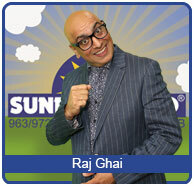 Raj Ghai has been in the media game for some time now. He never reveals exactly how many years for fear of giving away his age! He’s probably best known in the industry as a publicist and has worked with a number of celebrities worldwide. 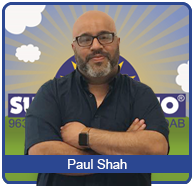 During his career he has produced music albums, worked as a music journalist, presented on radio and also hosted TV shows on both Asian and mainstream channels! He currently presents his weekly ‘Desi Beat’ show on Colors TV as well as the breakfast show on Sunrise Radio of course. He’s an avid cook and is regarded by some as a restaurant and food reviewer or critic. Being a ‘foodie’, Raj Ghai also co-presents a fun online weekly cookery show called ‘Easy Cooking Made Difficult’ – the name says it all. Raj keeps himself busy by also running his own record label and media agency and is currently developing his own food brand! Raj has a dog. He also has a fish tank with no fish! 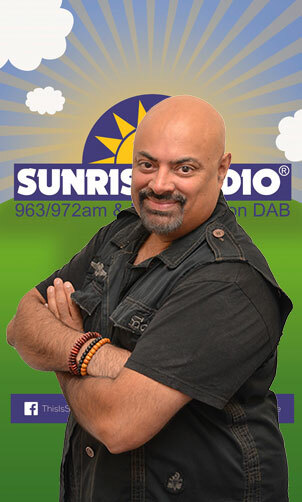 Starting off in the early 80’s San-j Sanj pioneered the daytimer club scene as a DJ and Promoter. Not resting on his laurels Sanj fulfilled one of his other dreams by going into music production, his first 12 inch single; titled Xzecutive, sold around 4000 copies on white label thus making Sanj (Xzecutive) the first ever Brit-Asian DJ to release a 12 inch single. This led to a turning point when Sanj alongside his brother Amit signed a contract with Multitone Records in 1990 to remix their vast Bhangra and Bollywood catalogue, the result was Extra Hot 1, now known as a milestone in remixing, Sanj followed this up with Garma Garam 1, remixes of Amitabh Bachchan songs – This is known to be the first ever Bollywood remix album. 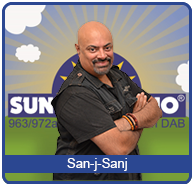 The early 90’s for San-j Sanj were extremely busy with International tours, recording albums. By the late 90’s San-j Sanj introduced Bollywood music to his live sets, even though it was ahead of its time the movement had begun. By 1999, Sanj launched the first ever Bollywood Club Night in London – Escapizm @ Bar Chocolate playing a mix of Bollywood with club beats such as Garage, Drum and Bass, House and RnB, dubbed as BomBass. The club night was appreciated, this resulted in Sanj becoming resident DJ for Kuch Kuch Nights launched at Bar Bollywood – the night since has become the longest running Bollywood club night in Europe, celebrating 16 years in 2016. 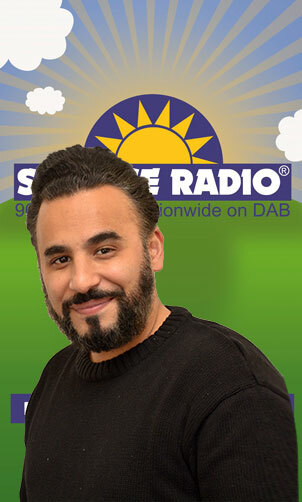 Next for San-j Sanj was a stint in radio with Westside Radio and BBA, it was from here that Sanj was noticed for his radio ability and swiftly moved to the newly branded Club Asia in 2001. 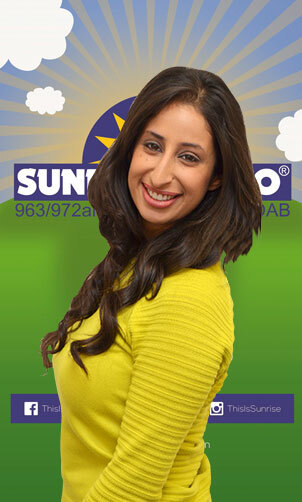 Sanj broadcasted “The Show With No Name” this show, was the first on commercial radio to have a mix of Indian and English songs; the mix of music was so successful that it became the sound for the station. 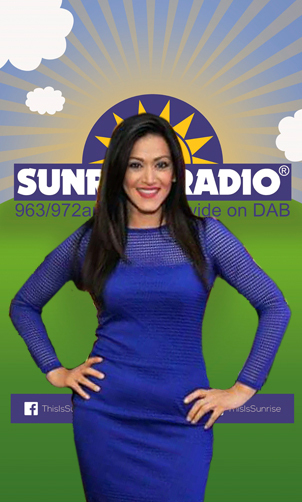 Sanj was headhunted in 2003 by the BBC Asian Network and worked on the chart show for 18 months. In 2005, San-j Sanj returned to Club Asia and also launched his club night 2WiCE as SPiCE, this club night became the biggest weekly Bollywood club night in London, running for over two years. 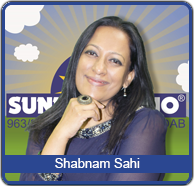 2007 – Sanj was chosen as the London champion to curate Soho Road to Punjab which was an exhibition based mainly on how Bhangra developed in London. 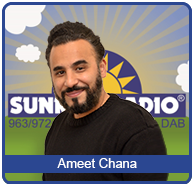 Whilst juggling his DJ career, radio and events. 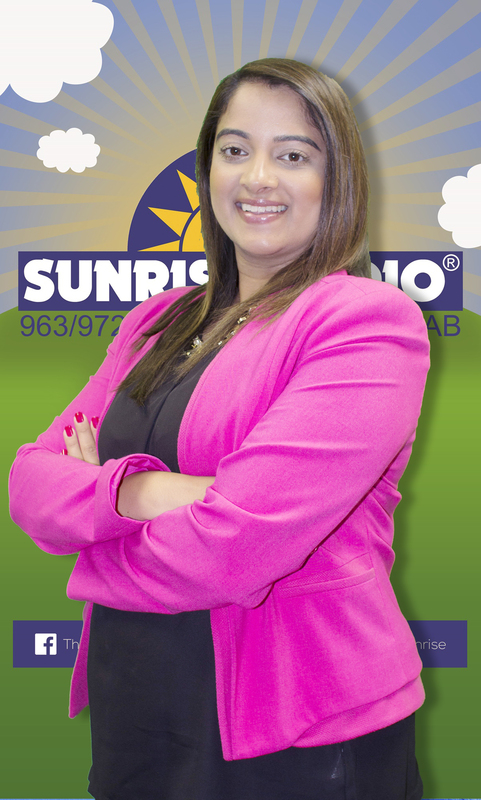 Sanj has mentored and nurtured many names that have made it in the industry. Least Favourite Food Anything green and healthy. I sleep, eat, drink and breathe Bollywood. Love travelling, watching cricket and having a laugh! 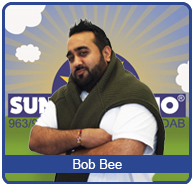 Catch me if you can Monday-Friday 12-4pm! Favourite Food: Nachos, Mac & Cheese, bit of paneer aint bad either! Least Favourite Food Celery and Brussel Sprouts. Comedian and presenter. I’m literally one of biggest things on the airwaves – at 6’2 makes that fairly easy. 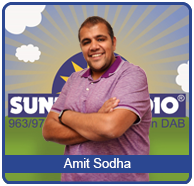 You can catch Amit on weekends, Friday and Saturday from 10pm until 1am – get ready for the weekend shouts! Vallisa studied Film and Television at Brunel University after graduating she started her first radio job and at the same time she started writing her own feature film ‘Those 4 Walls’ which is releasing later this year. Vallisa is also a female DJ and regularly DJs at mendhi’s and weddings. Vallisa loves traveling and she takes up every opportunity she can to book a trip abroad even if it’s just for a couple of days. 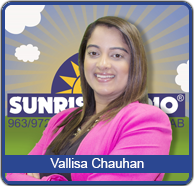 If you ever need travel advise Vallisa is the person to speak to. Vallisa loves watching films as well as making them so the cinema is definitely one of her favourite hang out spots. Disney films are her favourite and if she had a choice she would become a mermaid with her own personal unicorn (yup she lives in a fantasy world). 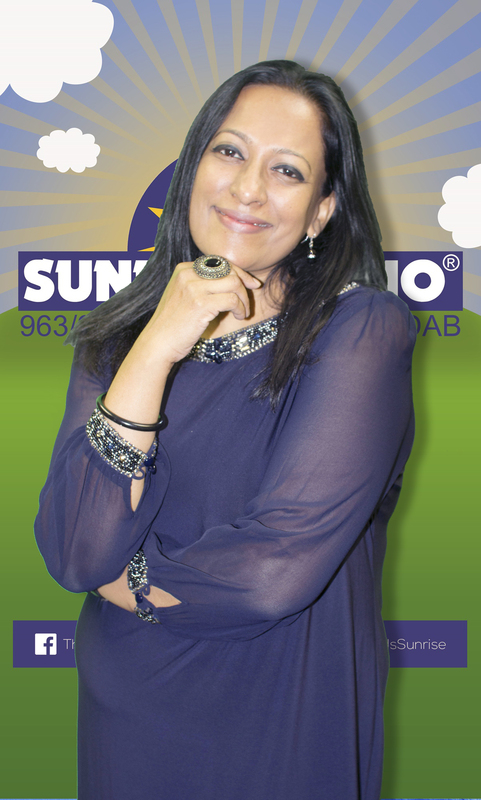 Whilst djing at school functions and presenting fashion shows when juggling studies at university, Ajay naturally had a passion for music and arts which lead him to radio.Having produced and presented various radio shows on western and Asian radio,Ajay currently entertains you with his own brand of humour on Sunrise radio every weekend between 10am – 1pm. Join him for brunch as he kickstarts your weekends.